Jeff Speck’s newest commentary on urbanism indicts “the twin gods of Smooth Traffic and Ample Parking” as the enemies of vibrant downtowns. Following his previous critiques of suburban sprawl, Speck champions ten urban design interventions that will promote walkability and save the American city from the worst effects of auto-dependency. One of Speck’s most impassioned recommendations is to “put cars in their place.” He rejects the traffic engineer’s ritualized obsession with traffic flow optimization and champions the new generation of traffic experts who acknowledge that new road infrastructure induces demand for ever more road capacity. Speck endorses a reforming of city zoning codes that will not only facilitate mixed use neighborhoods but allow for the development of housing in downtown city centers. Synthesizing the insights of noted parking scholar, Donald Shoup, Speck presents the true costs of providing urban parking. Improving mass transit service is another of Speck’s key recommendations. The author’s embrace of transit, however, is tempered by sobering observations of transit’s failure to capture riders in the absence of a transit-supportive neighborhood structure. Alongside proposed changes to transportation policy and land use planning, Speck offers examples of cities improving walkability through the conversion of one-way street networks to two-way, investments in bikeway infrastructure, and the planting of street trees. Much of what Speck writes is consistent with the new urbanist gospel and yet Walkable City manages not to preach to the choir because of its style. 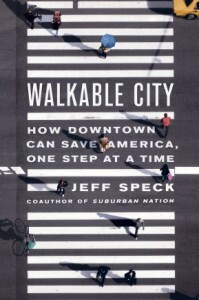 What distinguishes Speck’s work from other best practices guides to sustainable urbanism is the fast-moving rhythm of his prose peppered with personal and professional anecdotes in first-person narration. 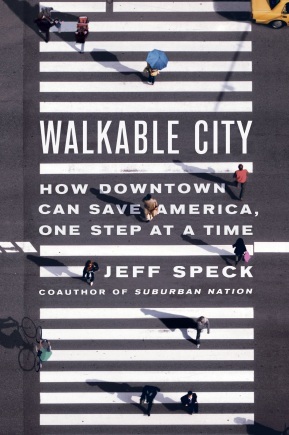 By celebrating walkability as a stream of stories rather than wonkish policy analysis, Speck’s work is less a primer on new urbanism and more of a journalistic accounting of city life. Moving deftly between his own observations and the experiences of other cities, Walkable City will make for animated reading, even for a traffic engineer.